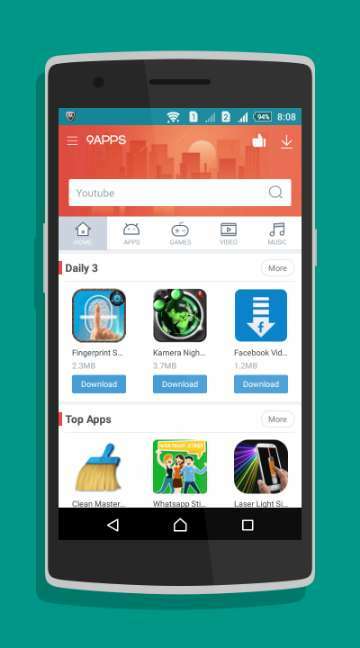 9Apps is a free appstore where you can Download apps for your Android device. Everything is separated by categories, so you have no trouble moving around in it. 9apps is a pretty good app in the internet world today. Its main purpose is to serve as a recommendation application. This application can give a boost to your online experience, and if you are an Android user then you will like this application. If you install it you will get a big advantage for sure. 9apps will give you specific recommendations about applications that you are interested in seeing. There is no need for exploring, digging, searching through applications that are unattractive or unimportant to you. Initially, you will get hundreds of recommendations about different applications that are more specific than the suggestions that you get on Google Play Store or somewhere else. 9Apps is easy and quick application that allows you to find good applications for your mobile device. You will be constantly updated with the latest gaming trends, news, photography, social media, sports and plenty of other types of applications. One great feature is that 9Apps actually increases the download speed of your application. There is no need for waiting for several minutes before your application`s apk gets downloaded. It will boost up the speed and will shorten the length of the download. The things will definitely get easier if you have 9Apps installed on your system. 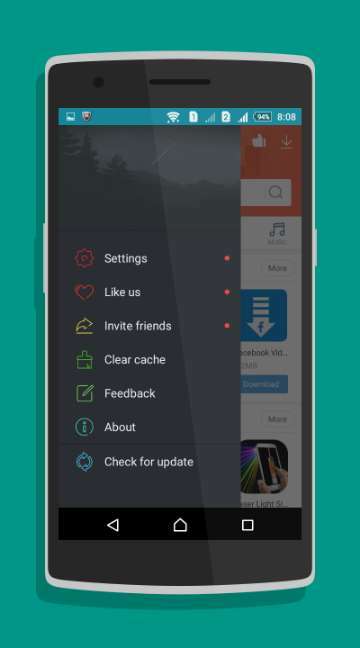 9Apps is full with handy features that you would definitely like. Here are some good features in it that should help you have a better Android experience. - The recommendations and application suggestions come from experts who have spent lots of hours exploring instead of you. - There are hundreds of different categories and sub-categories, and you can use some filters to get better results. - 9Apps does not require much space from your system, so the installation is finished in blink of an eye. It is a small app, and yet it runs very smoothly without any interruptions. The user interface is properly designed and it looks nice. Your eyes are not stressed with different unnecessary things. - Recommendations list gets a daily update, so you will always get something fresh and new. You will always get something interesting throughout the week. 9Apps is a decent, trendy application. It`s popularity will further grow, so it is a good thing to have it installed on your smartphone. With hundreds of suggestions that are constantly updated, you will never get bored of applications from all areas. Their recommendations are also not completely random either ? a set of professional experts are working all the time to give best recommendations based on different positive things. This application should not be missed, so give it a try and enjoy it.